Yanco Power Station was built in 1913 to supply power to the developing Murrumbidgee Irrigation Area and for the Leeton Butter Factory. It was chosen for its proximity to the rail line enabling easy access to coal and water. The station was decommissioned in the late 1950s once the Snowy Hydroelectric scheme was operational. The Musuem has a collection of farm machinery, photographs and a sixty seat theatrette. 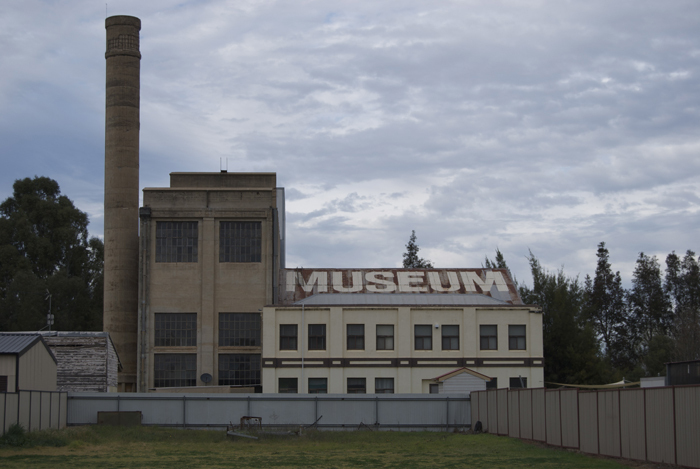 There is much to see in Leeton, including significant architecture from 1910 to 1940s including the Historic Hydro Motor Inn which was built using cinders from the Powerstation. So why not drop in and visit us at the Museum!